Apple has recently released it’s latest technology iPhone 8 on the 10th anniversary of Apple which has a better camera quality as compared to iPhone 7. 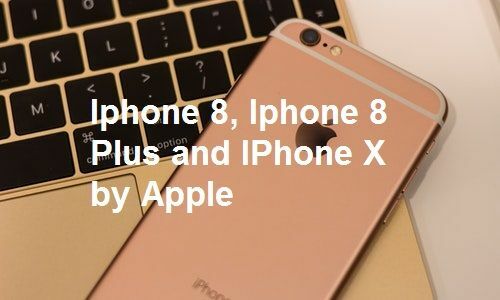 All three versions iPhone 8, 8 plus and iPhone X introduced by Apple on 12th September 2017 and the most advanced feature is you can charge wirelessly. Apple has released it’s the first iPhone in 2007 since then they have done a lot of changes in the technology and improving the market for gadgets. Why should you buy the latest version? The design has changed a lot with a beautiful new glass design, better quality of the camera, faster processor and the first iPhone to have an OLED screen. It is the hottest gadget in the market for the user which comes with a wireless charging technology feature, most powerful chip thus improving the experience of the user. has a 12 MP camera with Zoom up to 5X on another hand you can zoom Up to 10X in plus. Both models have Optical image stabilization, six-element lens, panorama(Up to 53MP), burst mode, noise reduction, timer mode, exposure control, body and face detection, photo geotagging, Hybrid IR filter and many more. Both the models are available in 64 and 128 GB capacities with a starting price of $699 for iPhone and $799 for iPhone Plus. iPhone X is available at a price point of $999 with most impressive design and 5.8 -inch OLED screen.It’s very comfortable to use with a big screen. The most advanced feature of this phone that you can unlock your phone using face detection which is a real and smart feature and Apple’s latest technology. Are you an IOS user and facing problems such as IOS stuck at Apple logo, black/White screen then you can fix your IOS errors using iMyfone IOS System Recovery. Don’t forget to like us on Facebook & follow us on Twitterfor latest post and Tweets.